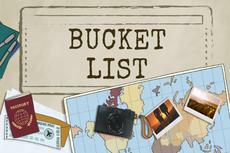 How would you like to quit your job and travel around the world, checking off one bucket list destination each month? This sounds more like a movie script than a realistic plan, as it often takes years between visits to places a person has dreamed of for a long time. Everybody has a list of adventures he or she wants to embark on, and some places are certainly better than others based on every person’s criteria for having a good time. Making vacation plans and getting ready to stoke your wanderlust have been scientifically proven to improve health. So go ahead and go through this list. Pick your next adventure and start preparing for it. The following selection, in no particular order, is a fascinating collection of old and new world wonders, marvelous architecture, natural phenomena, and mysterious places located all over the world. Mountains, parks, lakes, forests, islands, and “lost” cities – all of these breathtaking locations are worthy of being any adventurer’s ultimate trip destinations.